Can dreams hold the key to your destiny? It was interesting to watch Grace change as a result of everything that happens to her as she’s growing up. Her painful childhood doesn’t give her much of a reason to trust others, but her intelligence makes her question these knee-jerk responses. The result is a young, troubled woman I couldn’t help but to root for. Don’t get me wrong – Grace is deeply flawed. Her weaknesses make her more relatable, though, and kept me glued to the plot even when I encountered bumps in the road. The character development of everyone Grace meets during her life was weak. Her friends and enemies are described in such a black and white manner that I had trouble connecting to them emotionally. It was never quite clear to me if the sketches of them were meant to subtly cast light on Grace’s damaged psyche or if the author intended to skim past these characters. Some of them had fascinating backstories either way, and this tale would have earned a much higher rating if they’d been given more of a chance to express themselves. This book has the kind of premise that snags my attention right away. As soon as I read the blurb, I couldn’t wait to find out what happens next. What I liked most about it was how straightforward it was about the events in Grace’s early life. It gave away enough details to spark my curiosity, but the author did a good job at keeping enough of the plot hidden that I didn’t feel as if I already knew everything in advance. It would have been helpful to have more showing instead of telling. Grace experiences a lot of traumatizing things as a child and young adult, but the rough times in her life weren’t given as much attention as I would have liked to see. The scenes describing them were often brief and factual even when what was happening should have evoked much stronger emotions from the characters involved in them. I should note that this isn’t a traditional romance novel. While there are many tender moments later on, the characters involved in them don’t necessarily fit into the tropes that one would typically find in this genre. When I first started reading I was expecting an entirely different sort of plot. It was a pleasant surprise, though, and the romantic subplots ended up working well with everything else that was going on. 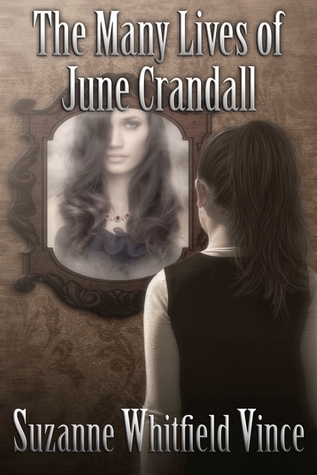 The Many Lives of June Crandall is a good choice for anyone in the mood for something unique and (mostly) contemporary.